Why do I Need to See a Delray Beach Endodontist? Proper care of your teeth and gums is essential for the lifelong look of your smile and health of your mouth and body. In order to get all the care and treatment you need, it may be necessary to see a specialist beyond a general dentist. Learn about a few reasons that you may need to see a Delray Beach endodontist. A Delray Beach endodontist receives all the same training as a general dentist. But then they go on to receive another two years of schooling specifically related to root canal procedures. If you require this kind of treatment, you will want to work with a doctor who has been specifically trained and tested in root canals. A Delray Beach endodontist is your best source for the high-level care you’re seeking. A Delray Beach endodontist focuses exclusively on performing root canals. That means their practice is set up to provide the most direct and efficient standard of care you can find. Every detail has been specifically created to help you receive treatment faster, more effectively, and at a lower cost. Working with a Delray Beach endodontist helps to elevate the overall quality of your experience. If you require a root canal, you will probably be in a lot of pain and discomfort. That can make it hard to sleep, eat, work, or take pleasure in just about anything. Finding a solution will be your one and only priority, but it can be hard to find dental treatment outside of regular business hours. A Delray Beach endodontist understands how these patients feel and the urgency of their situation. And for that reason, many offer hours at night or on weekends so that patients can get treatment rather than waiting in pain. 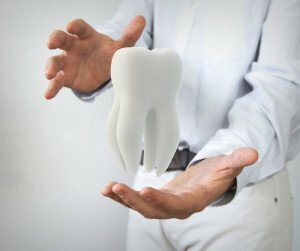 Since a Delray Beach endodontist makes root canals the focus of their medical practice, they rely on the very best techniques and the most advanced technologies in the industry. A root canal can be an unpleasant procedure. By working with an expert doctor you can be sure the procedure goes as smooth and easy as possible. If you know or suspect that you may need a root canal, you should contact a Delray Beach endodontist at your very earliest convenience. Call Florida Dental Rejuvenation at 561-203-4716. ← When Are Dentures Necessary?